If you're in the Chicagoland area, the best way to begin a purchase is to schedule a viewing where you can see the print in person. If you are not in the Chicagoland area, then a viewing would be more difficult, but not impossible. A viewing gives you the chance to study and discuss a print in the greatest detail. Read more on scheduling a viewing. 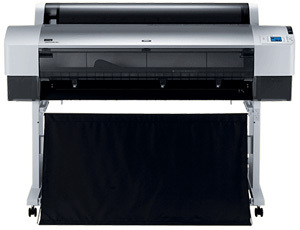 All printing occurs in-house on a professional 44" Epson 9800 Inkjet printer. The combination of Premium Luster photo paper and the specialized Epson K3 UltraChrome inks yields an archival life of 165 - 300 years, depending on display techniques. This is the same printing process the Metropolitan Museum of Art's digital reproduction house uses for limited edition digital prints. All prints are hand signed, stamped and carry documentation establishing authenticity and proof of ownership. Prints are packed and shipped by the professionals at Flax Art & Frame - they have over 60 years of experience protecting artwork. Only heavy-duty cardboard tubes will be used to ship unframed work. Our transport of choice is UPS Ground. All prints are insured in full upon shipment. Please contact me directly to make shipping arrangements for outside of the continental USA. All print orders will be shipped within 2 weeks of purchase date. At this time tracking info and shipping confirmation are sent via email. Large orders of prints are eligable for discounts, please contact me directly to discuss pricing when purchasing multiple prints. I do not offer framed prints. However, if you are in the Chicago area I recommend Flax Art and Frame to all my customers. Their professionalism and dedication to their sport is unsurpassed. Store manager Dana Fisher (CPF) has been framing my work since 2007. When invited, I enjoy being part of the framing process. I can bring ideas that ensure the print is complimented by the frame. My best advertising is a print that looks great on the wall, so I make myself available for consultation whenever my clients select a frame. If you have any questions or would like to schedule an appointment to discuss framing options, contact me directly.